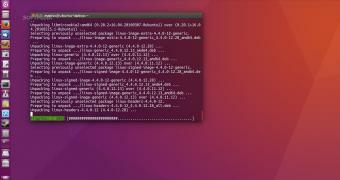 Canonical released a new Linux kernel security update for users of the Ubuntu 16.04 LTS (Xenial Xerus) operating system series to address several recently discovered vulnerabilities. The new Linux kernel security update is here to address five security issues discovered by various security researchers in the Linux 4.4 kernel used in the Ubuntu 16.04 LTS (Xenial Xerus) operating system series and official derivatives that aren’t using the Linux 4.15 HWE (Hardware Enablement) kernel from Ubuntu 18.04 LTS (Bionic Beaver). Posted in Uncategorized and tagged Softpedia News / Linux.